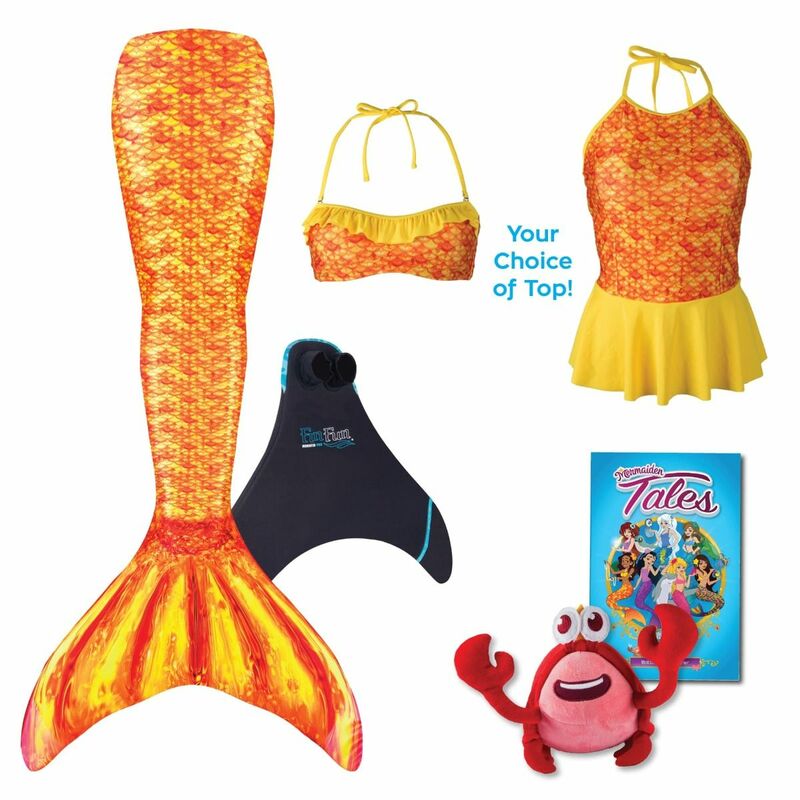 Make swim sessions even more magical for your mermaid fanatic with this mermaid tail gift set featuring our bright and sunny Tropical Sunrise Mermaidens design! So your little mermaid requested a mermaid tail set on her holiday wish list. You can easily deliver with Fin Fun’s exclusive Mermaidens holiday gift sets available in youth sizes 6-12! Our Tropical Sunrise mermaid tail set for kids features a cascade of scales in gold, orange, and yellow that mingle in a harmonious pattern. She’ll even get a matching swim top in a bandeau or tankini style to complete the look. Kids will learn the story behind every Fin Fun Mermaiden, including Mermaiden Destiny (whose tail inspired this happy design), in our Mermaiden Tales book! Plus, look for the bonus plush toy FinFriend Frank the Crab!